Stella Walsh: A Documentary | The tragic story of the greatest female athlete in the world, her murder and the gender controversy that followed . . . The tragic story of the greatest female athlete in the world, her murder and the gender controversy that followed . . .
Never say never! “Stella” will screen again on October 5, 2016 at the Out on Film Festival in Atlanta, GA. See “Screenings” for details. This is it . . . this is more than likely the last “Stella Walsh” festival screening. 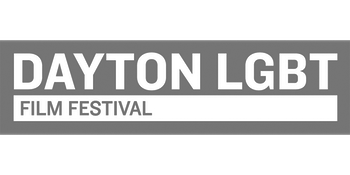 August 13 and 14 at the North Carolina Gay + Lesbian Film Festival. It’s an honor. I wish I could attend. Thank you for inviting me. I thought “Stella Walsh” had its final public screening, but I was wrong! It will screen on July 9 at the qFLIX Film Festival in Philadelphia. Here’s a friendly reminder that “Stella” will screen on January 30 at the Bloomington Pride Film Festival in Indiana. Thank you so much to the Side By Side Film Festival for screening “Stella Walsh” in St. Petersburg, Russia, and for mailing a film festival catalog and t-shirt! It’s so cool to see the film’s description in Russian type. Please read this fascinating article about the festival in The Guardian. “Stella Walsh” has been accepted to the Dayton LGBT Film Festival and the ReelQ Film Festival is Pittsburgh! Cincinnati and Global Peace, here we come! “Stella Walsh” has been accepted to both the Cincinnati Film Festival and will be returning to Orlando for the Global Peace Film Festival! I will post screening dates and times as soon as they are available. roblucas1978 on Two new festivals! leskoloriofcleveland on Two new festivals!